International Trade, Hebei Provincial People's Government, China Light Industry Association, China Hardware Products Association, Hebei Provincial Trade Promotion Association, Hengshui Municipal People's Government, Anping County People's Government, which is the world's only professional exhibition of wire mesh products. mesh industry as the most important trading platform for wire mesh and related products in the world. 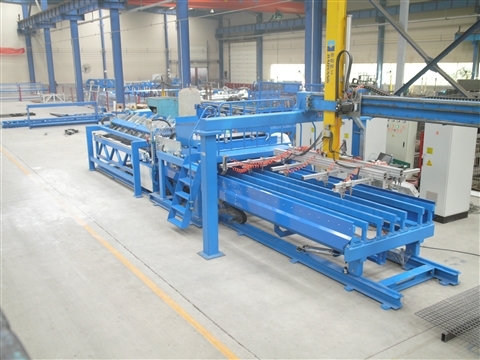 The Jiaoyang Wire Mesh Company will present eight welding net equipments, and the newly developed industrial net welding production line will be customized according to customer and market demand, and realize the fully automatic production from disc feeding, double station welding, automatic unfocused cutting. The connection of water and air system are all fast joints,which are plugged and unsealed.The pipeline is not afraid of slag burns,and the water flow detection is abnormally alarmed automatically.